Capture the thrill and passion of off-road racing. 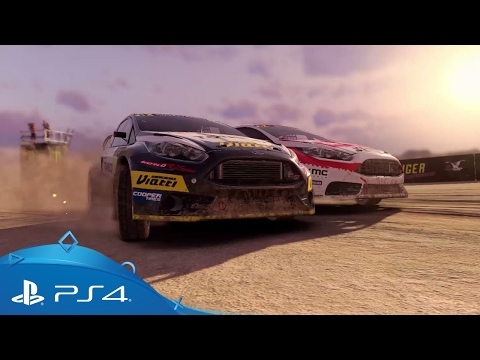 Get behind the wheel of over 50 custom-built rally cars from industry-leading manufacturers like Ford, Subaru and Mitsubishi and tackle blistering courses over dirt, gravel, ice and snow across five international locations in DiRT 4. 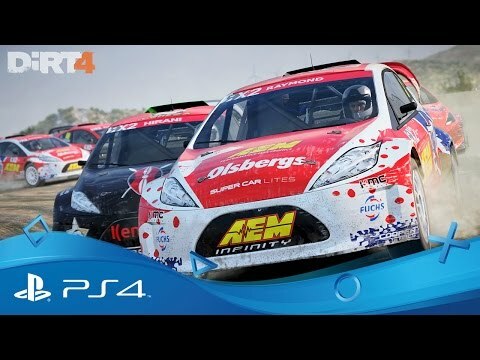 The official game of the FIA World Rallycross Championship, you’ll also have the chance to race at legendary RX circuits like Montalegre, Lohéac Bretagne and Holjes & Lydden Hill in a multitude of different series. Tweak each of your vehicles according to the terrain you’re up against and the way you like to drive, refining your skills in Laptime and Smash challenges before heading online to tackle other drivers from around the world in daily, weekly or even month-long competitions. Master some of the world’s most gruelling courses and then build your own. 'Your Stage' mode allows you to create and edit your very own rally routes, meaning a near infinite number of unique stages to push your skills. Change up the pace in ‘Landrush’ mode, tearing up the California, Mexico and Nevada landscape as you negotiate a range of short-course dirt tracks in Pro Buggies, Pro-2 and Pro-4 Trucks or even hyper-light Crosskart vehicles. Go up against the world in daily, weekly or even month-long challenge competitions that pit you against the very best - all you need is PlayStation Plus. Get behind the wheel of the ultimate driver journey in Project CARS 2 on PS4. Play as Sébastien Loeb and recreate the finest moments of his rallying career.